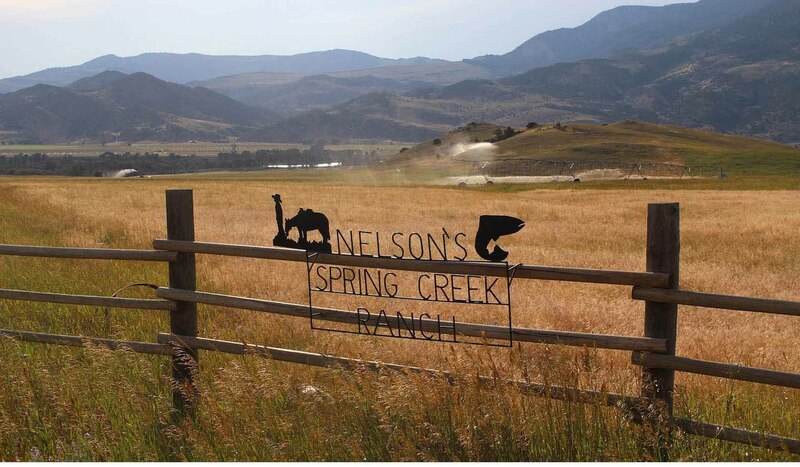 Nelson's Spring Creek Lodge, come stay with us in the heart of Paradise Valley for a truly authentic Montana experience. Our lodge is a unique and tranquil facility designed for no more than three parties at a time. Originally built to house fishermen who frequent our world famous trout stream, the lodge is tucked away from busy highways in the middle of one of the valleys oldest working cattle ranches. The lodge has five guest suites, each with its own bedroom, private bath, kitchenette and sitting room. Each suite can accommodate two guests. In addition, a quaint cabin houses two additional guest rooms, each sleeping up to two guests. The common area has a large great room with gas fireplace, dining room and full size kitchen. The lodge also boasts two covered porches, and a large deck complete with gas grill. Just off the back porch the spacious lawn sports a fire pit for after dark campfires and stargazing. Guests who stay with us are treated to a hearty ranch breakfast each morning. We also offer a two acre lake stocked with trophy size Rainbow Trout. Other amenities included in the price of your stay are the use of our laundry facilities and high-speed Internet service. For more information, log on to our web site at www.nelsonsspringcreek.com or give us a call at 406-222-6560.